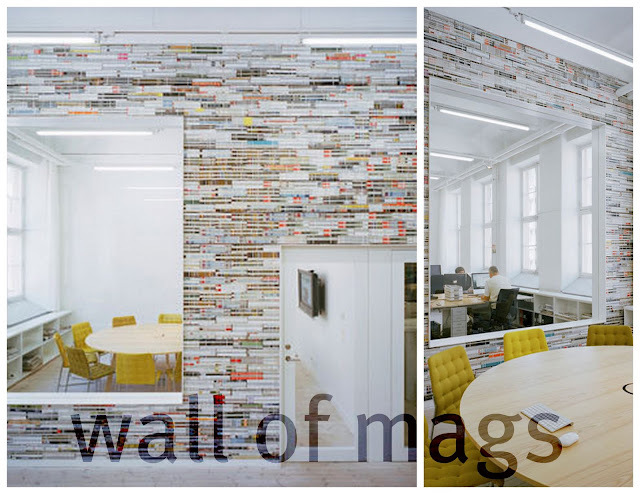 While browsing Curbly for some DIY projects, I stumbled upon this amazing idea...walls made of magazines! The graphic design office of Oktavilla has 'em. That's in Sweden if you didn't know because I sure didn't. As if I didn't love magazines enough already, now this concept has me loving them even more. Now I feel a bit better about my habit of hoarding of magazines. Check out the office photos, courtesy of Curbly.